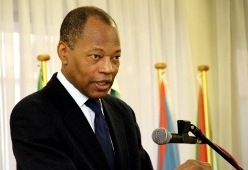 Brussels, 9 February 2012/ ACP: The Secretary General of the African Caribbean and Pacific Group of States (ACP) H. E Dr Mohamed Ibn Chambas presented a list of key priorities for the organisation, setting the tone in the lead up to the ACP Heads of State Summit to be held this December in Equatorial Guinea. BANJUL, Gambia, 6 February 2012/ The Point: The European Union and the Gambia government on Friday 3 February signed a €10 million (ten million euro equivalent to D400 million) agreement to support improving democratic and economic governance in The Gambia. Gaborone, 5 February 2012/ Government of Botswana - The Government of the Republic of Botswana has been closely monitoring the political situation in Syria and notes with grave concern the latest deplorable decision by Russia and China to veto the UN Security Council resolution which fully supported the Arab League’s Peace Plan to the ongoing bloody violence in that country. 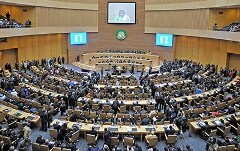 Brussels, 5 February 2012: The 79-member African, Caribbean and Pacific Group of States has shown its strong support for efforts towards an Africa-wide free trade area - the key focus of the recent African Union summit for Heads of State, held 23 to 30 January in Addis Ababa, Ethiopia. Brussels, 3 February 2012/ ECDPM: On the 1st of February H.E. 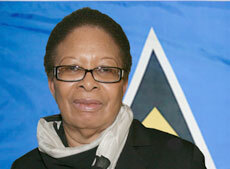 Shirley Skerritt-Andrew, Ambassador of Saint Lucia, took over as Chairperson of the ACP Committee of Ambassadors. She will preside the group for the coming 6 moths. 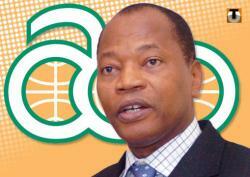 Le RAPEC en partenariat avec l’UNESCO et le Groupe ACP rend publique le rapport d’activité des travaux du premier congrès panafricain. Ayant pour thème : La culture, levier du développement en Afrique. GEORGETOWN, Guyana, 1 February 2012/ Knews/ ACP: The European Union (EU) has pledged another multi-million disbursement of funds in support of the Guyana sugar industry, one of the many Caribbean countries crippled by a cut in sugar prices by the EU, its biggest market for sugar. 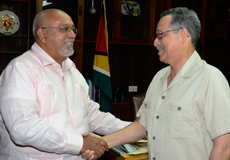 Guyana can expect around EUR 24.9 million this year, on the heels of a EUR12.5 million package received last December. 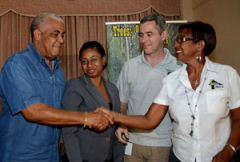 ST ANDREWS, Jamaica, 1 February 2012/ JIS/ ACP: Rural Jamaican communities will have a more proactive hand in protecting the country's forests, with a shared management system launched this week between the St. Andrews communities of Dallas Castle and Constitutional Hill and the Government's Forestry Department.